A How busy is too busy? For some it means having to miss the occasional long lunch; for others it means missing lunch altogether. For a few, it is not being able to take a “sickie” once a month. Then there is a group of people for whom working every evening and weekend is normal, and frantic is the tempo of their lives. For most senior executives, workloads swing between extremely busy and frenzied. The vice-president of the management consultancy AT Kearney and its head of telecommunications for the Asia-Pacific region, Neil Plumridge, says his work weeks vary from a “manageable” 45 hours to 80 hours, but average 60 hours. B Three warning signs alert Plumridge about his workload: sleep, scheduling and family. He knows he has too much on when he gets less than six hours of sleep for three consecutive nights; when he is constantly having to reschedule appointments; “and the third one is on the family side”, says Plumridge, the father of a three-year-old daughter, and expecting a second child in October. “If I happen to miss a birthday or anniversary, I know things are out of control.” Being “too busy” is highly subjective. But for any individual, the perception of being too busy over a prolonged period can start showing up as stress: disturbed sleep, and declining mental and physical health. National workers’ compensation figures show stress causes the most lost time of any workplace injury. Employees suffering stress are off work an average of 16.6 weeks. The effects of stress are also expensive. Comcare, the Federal Government insurer, reports that in 2003-04, claims for psychological injury accounted for 7% of claims but almost 27% of claim costs. 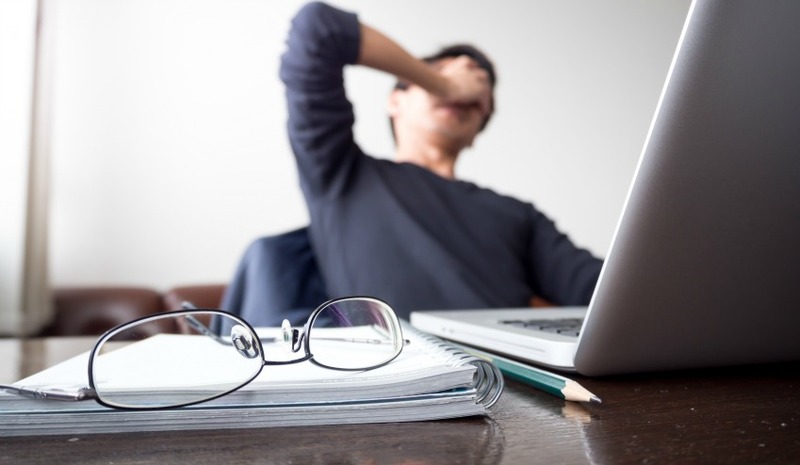 Experts say the key to dealing with stress is not to focus on relief – a game of golf or a massage – but to reassess workloads. Neil Plumridge says he makes it a priority to work out what has to change;that might mean allocating extra resources to a job, allowing more time or changing expectations. The decision may take several days. He also relies on the advice of colleagues, saying his peers coach each other with business problems. “Just a fresh pair of eyes over an issue can help,” he says. F The Australian vice-president of AT Kearney, Neil Plumridge, says: “Often stress is caused by our setting unrealistic expectations of ourselves. I’ll promise a client I’ll do something tomorrow, and then promise another client the same thing, when I really know it’s not going to happen. I’ve put stress on myself when I could have said to the clients: ‘Why don’t I give that to you in 48 hours?’ The client doesn’t care.” Over-committing is something people experience as an individual problem. We explain it as the result of procrastination or Parkinson’s law: that work expands to fill the time available. New research indicates that people may be hard-wired to do it. G A study in the February issue of the Journal of Experimental Psychology shows that people always believe they will be less busy in the future than now. This is a misapprehension, according to the authors of the report, Professor Gal Zauberman, of the University of North Carolina, and Professor John Lynch, of Duke University. “On average, an individual will be just as busy two weeks or a month from now as he or she is today. But that is not how it appears to be in everyday life,” they wrote. “People often make commitments long in advance that they would never make if the same commitments required immediate action. That is, they discount future time investments relatively steeply.” Why do we perceive a greater “surplus” of time in the future than in the present? The researchers suggest that people underestimate completion times for tasks stretching into the future, and that they are bad at imagining future competition for their time. 1 ABCD Work stress usually happens in the high level of a business. 2 ABCD More people’s ideas involved would be beneficial for stress relief. 3 ABCD Temporary holiday sometimes doesn’t mean less work. 4 ABCD Stress leads to a wrong direction when trying to satisfy customers. 5 ABCD It is not correct that stress in the future will be eased more than now.